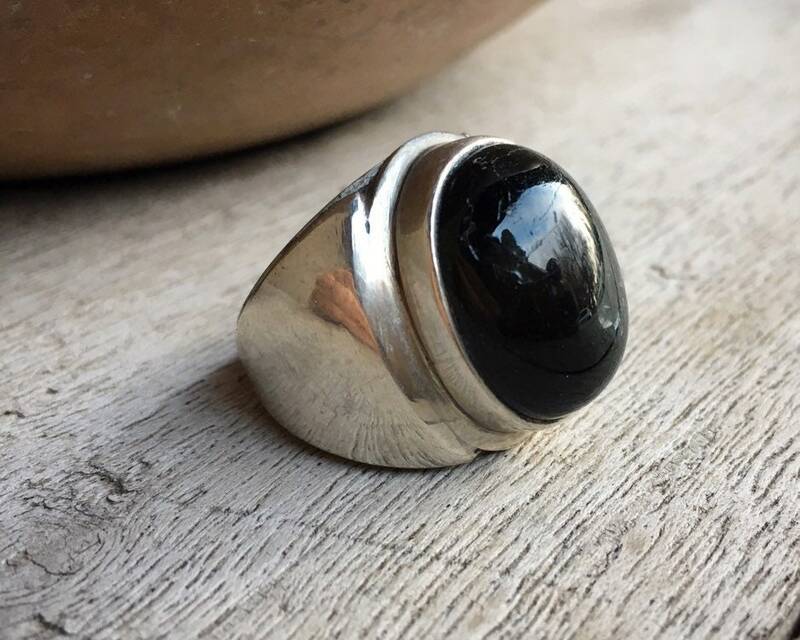 This vintage ring features a beautiful luminescent black stone with specs of silvery gold in a 925 sterling silver setting. 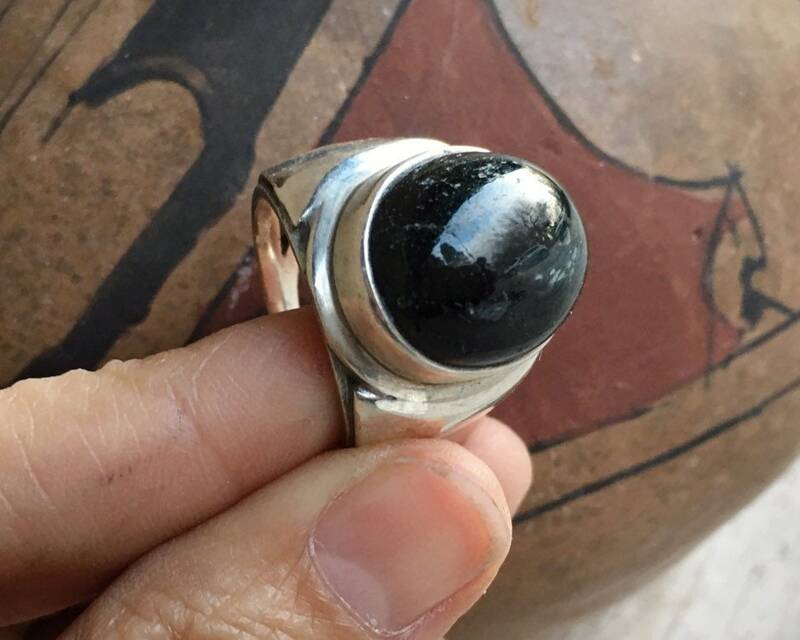 The ring is Native American style although it is likely not Native American. 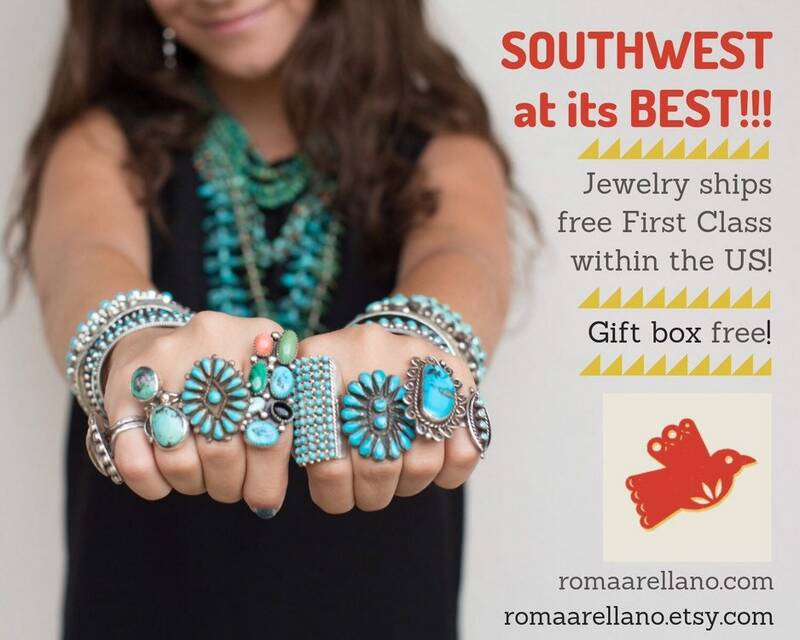 Still, it is definitely Southwestern in style and is made with real silver, and it is a traditional style of ring that looks great on men or women. 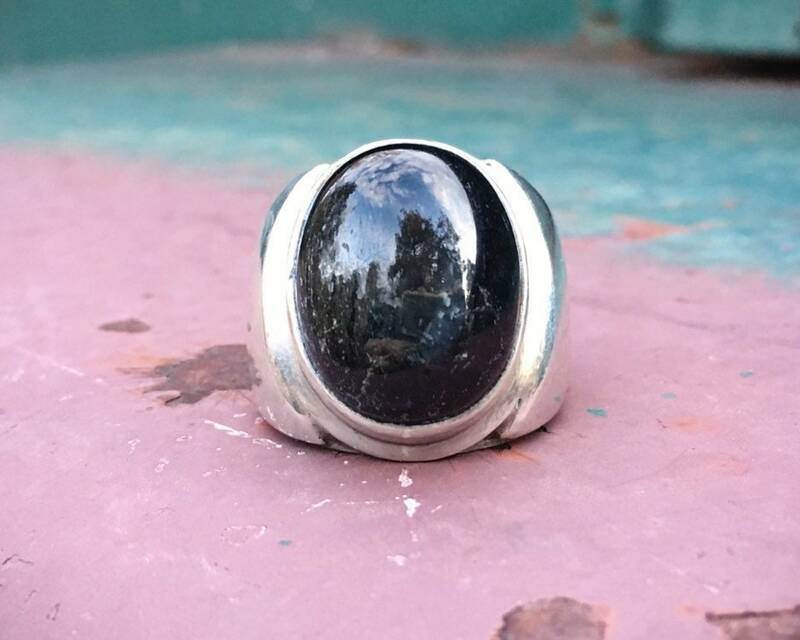 The ring is Size 7.5. 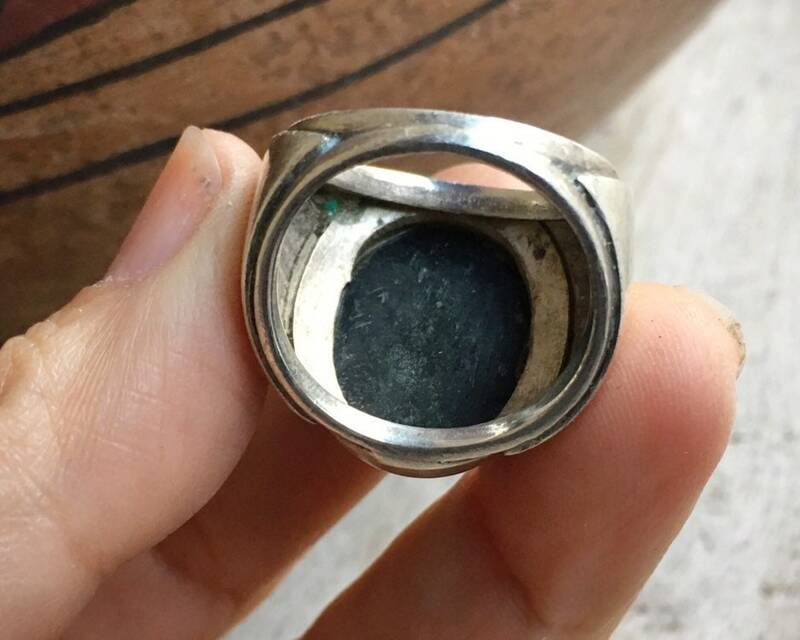 Ring face measures about 3/4" long by just over 1/2" wide and a bit wider including the silver sides. 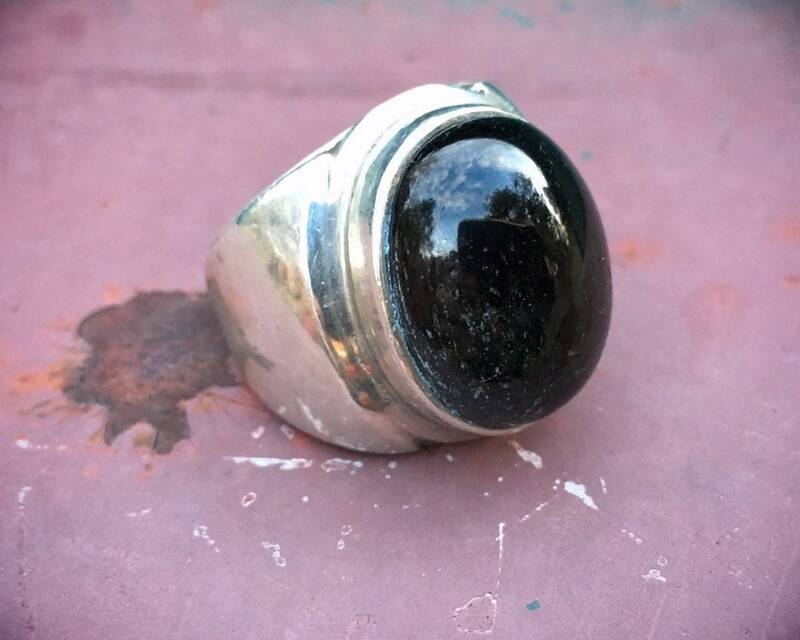 The stone has some scratches in it, as does the silver shank--this is likely a 1980s piece.